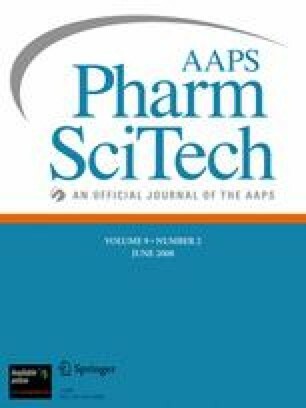 The purpose of this paper was to develop a statistical methodology to optimize tablet manufacturing considering drug chemical and physical properties applying a crossed experimental design. The assessed model drug was dried ferrous sulphate and the variables were the hardness and the relative proportions of three excipients, binder, filler and disintegrant. Granule properties were modeled as a function of excipient proportions and tablet parameters were defined by the excipient proportion and hardness. The desirability function was applied to achieve optimal values for excipient proportions and hardness. In conclusion, crossed experimental design using hardness as the only process variable is an efficient strategy to quickly determine the optimal design process for tablet manufacturing. This method can be applied for any tablet manufacturing method. Authors would like to thank the financial support granted by Quimefa Group and Merck for supplying dried ferrous sulphate. Authors kindly thank Mrs. Relma Tavares de Oliveira for the inspiration and Yohana and Brenda Morón for their kind contributions. Authors are also grateful to Mena Cayetana Ramos from “Salvador Allende” hospital for the carefully reviewing of the paper.